We are based at St. Joseph Parish in the Capitol Hill neighborhood. We welcome all families. We are based at St. Joseph Parish in the Capitol Hill neighborhood of Seattle. We welcome all families. 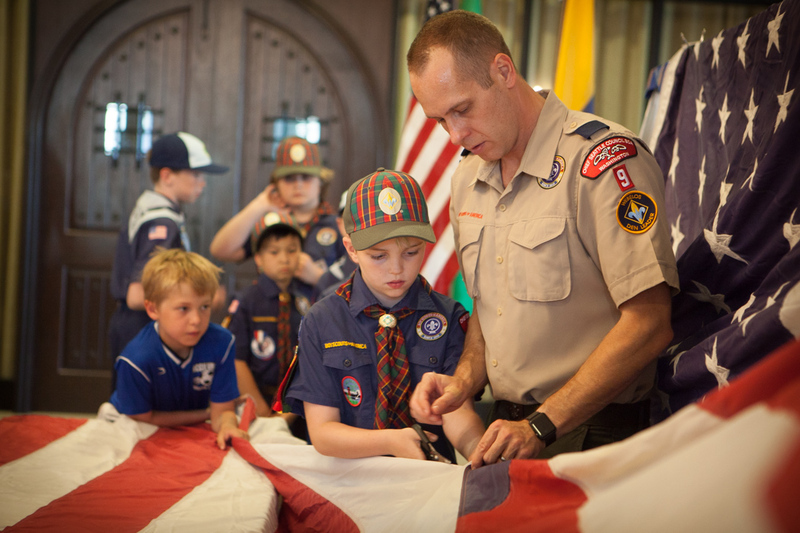 Cub Scouting is open to boys and girls in Kindergarten - 5th grade. 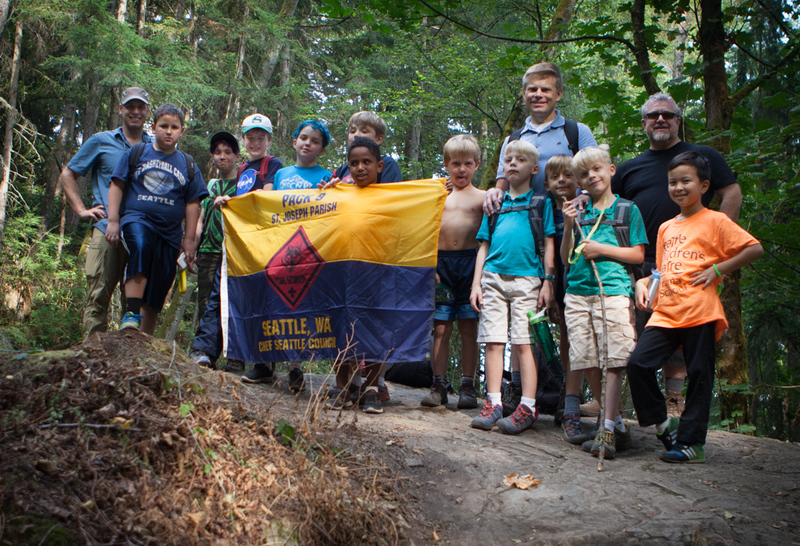 Our Pack includes scouts from different neighborhoods and schools in Seattle. Our pack is led by parent volunteers, who receive training and support from the Boy Scouts of America. Camping, hiking, learning to use tools, community service (assembling hygiene kits for homeless, singing at tent city), racing model cars, building bristle bots, visiting law enforcement offices and a fire station are a few of the activities our scouts have done this year. When does your pack meet? Our Scouts meet three times per month. Please see our calendar for specifics. One meeting is the Pack meeting, which includes boys from all the age groups. Two other meetings are with their Den, which is age specific. 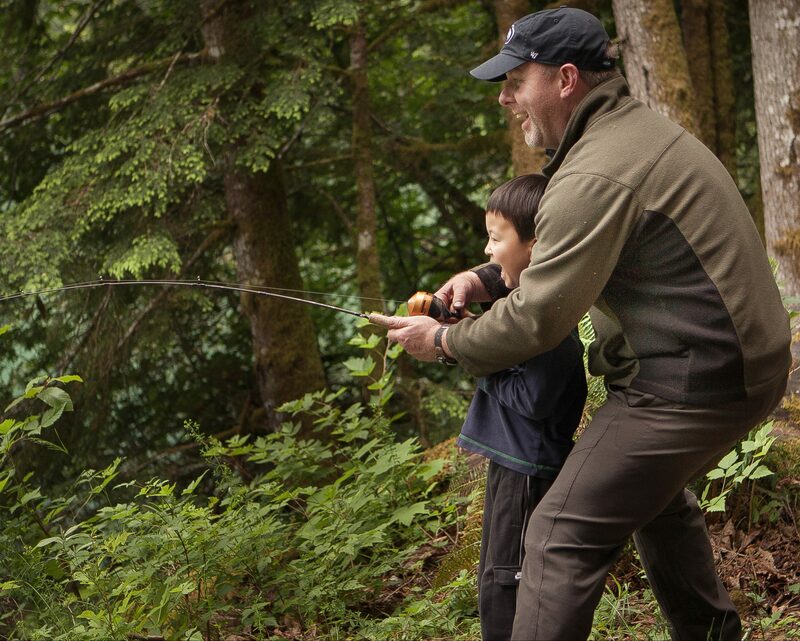 While the boys are having fun and doing activities they enjoy, they also discover and master new skills, gain self-confidence, and develop strong friendships. Please send us a message using the contact form. Send your name, Scout's name, school and grade. One of our volunteer scout leaders will be in touch to answer questions.Visit our join page for further details on the join process. Plan to come to our first pack meeting of the school year on Sept 20, 2018. Performing a flag retirement ceremony at a senior living facility in Seattle. 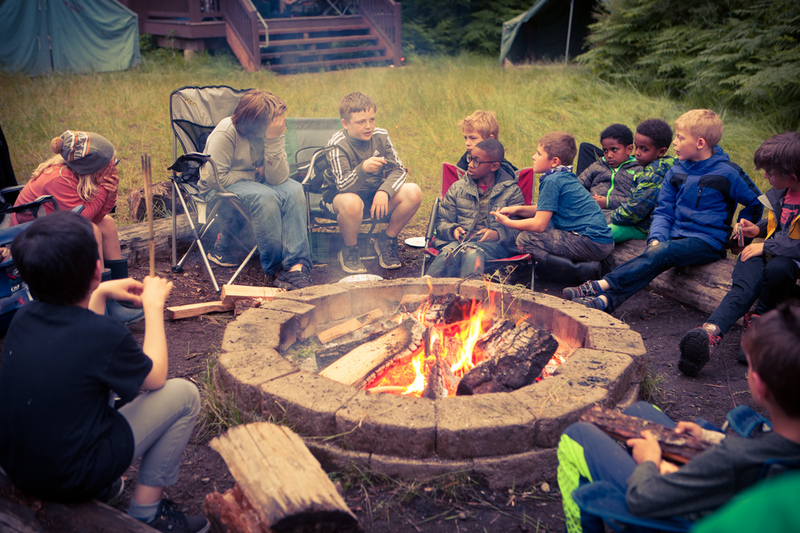 Learning about and participating in our community is a key part of Scouting. Taking a hike on Shangri La trail. Scouts learn about how to hike safely, and concepts such as The Outdoor Code, and Leave No Trace. Competing with over a hundred other Scouts from around Seattle in the district Pinewood Derby. Pinewood Derby, where scouts craft a small simple car that races on a sloped track, is a chance to learn about many aspects of STEM. As a capstone to the year, we participated in a two night campout at camp Edward in Monroe.